Since the end of the Vietnam War, the concept of human rights has been systematically co-opted by groups less interested in actual human rights than in the promotion of leftist politics in the U.S. and abroad. It was in the nascent stages of the Carter Administration, when Brady Tyson, deputy to then UN Ambassador Andrew Young, predicted openly that human rights would be used to help leftist revolutionaries in the western hemisphere. 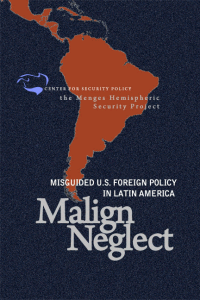 Moynihan’s and Holbrooke’s warnings are now manifest in many Latin American countries, where politicized judiciaries settle political scores and “truth and reconciliation commissions,” such as that proposed last week by Senator Patrick Leahy to go after the Bush Administration, are stacked to achieve a politically desired outcome. Today, these quasi-judiciaries incentivize false accusations by offering reparations by the state to any civilian that files a claim against military personnel or state police. Yet neither civilian nor military courts offer legal recourse for those who are killed, maimed or displaced by terrorist groups – the very groups that provoked the military response to begin with. This “judicial warfare,” as it has come to be known, was made possible by the same Senator Leahy, who originated the legislation as a rider to a larger bill in 1997. 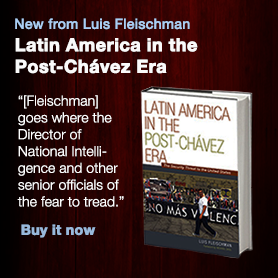 The “Leahy Law,” as it is now called, has provided the Marxist-Leninist-Maoist terrorist groups throughout Latin America with the ability to remove their betters from the battlefield without firing a shot. Many of the most well-trained officers – including those with the most training in avoiding civilian casualties during counter-terrorism operations – are frequently removed from duty at half pay because of flimsy allegations of human rights violations. Though most are eventually exonerated, the careers and finances of these men are destroyed in the decades-long legal labyrinth that ensues. And worse, the false witnesses that make the accusations are rarely, if ever, prosecuted – though in a multitude of cases they have recanted and have stated under oath that they were induced to testify falsely. One of the better-known cases of judicial warfare was recently concluded in Peru, with the exoneration by that country’s highest court of General Eduardo Bellido. General Bellido’s case had become a case study for journalists, publicized in a book published by the Institute for the Press and Society. The book, The Press and the Military, was a mea culpa for the flagrant nature with which the press had accepted all of the arguments of Narco-terrorists and their apologist NGOs against a decorated General that had pacified that country’s largest terrorist redoubt. On January 29th, the Peruvian armed forces held a ceremony to publicly honor General Bellido for his service to the country as well as to acknowledge the travesty of justice that he had endured. Lurking behind these false allegations, once again, was a panoply of left-wing NGOs including APRODEH, the very group that successfully petitioned the European Parliament not to include the Tupac Amaru (MRTA) terrorists on its official list of terrorist groups. These same players have been behind nearly every congressional appeal to halt military aid from the U.S. to Latin America for the past two decades, while falling silent during administrations that they consider friendly to their interests. Francisco Soberon, a director of APRODEH, has made a good living as a “human rights advocate” in those two decades. President Alan Garcia called him a “traitor to the country” and demanded an investigation into APRODEH’s funding after it was revealed that it was Soberon that had petitioned the European Parliament in support of MRTA terrorists. Former Vice President Luis Giampietri, one of the hostages of the Tupac Amaru siege of the Japanese Ambassador’s residence in 1997, accused Soberon of being an advocate for the terrorists. “Whose human rights do these organizations defend? They defend the terrorists,” Giampietri said of APRODEH. A former navy officer, Giampietri helped the Peruvian commandos rescue the hostages by providing intelligence via a miniature two-way radio from inside the ambassador’s residence. This also allowed Giampietri the ability to inform the hostages to stay separated from the terrorists just minutes before the rescue operation began, possibly saving their lives. Once the smoke cleared, there were no terrorists left alive and one hostage was lost due to heart failure. The operation was hailed worldwide as a textbook success. Yet the first to denounce the “brutality” of the rescue was Eligia Rodriguez Bustamante, a deputy director of APRODEH. More telling was the fact that Ms. Rodriguez Bustamante was also the mother of one of the Tupac Amaru terrorists killed during the rescue mission. Unsurprisingly, APRODEH later filed suit on behalf of the terrorists’ family members, saying that the rescuers violated the terrorists’ human rights. It should be stipulated that if there is a true case of an actual human rights violation by a soldier, police officer, or civilian, the violator should receive the harshest penalty available under law. The death of innocents is, and will always be, a lamentable but ineluctable byproduct of defending millions more innocents from the murderous adventurism of schoolyard ideologies. But it is long past time to acknowledge that there is no moral equivalency between those that work to defend the innocent, though imperfectly, and those that defend the slaughter of innocents to justify political ends. This is the second of two articles written by Jon Perdue about how some Latin American human rights organizations falsely accuse various military and political leaders in order to remove them from power. Mr. Perdue’s first article “The New Battlefield in Latin America” published on 7/17/08 may be found in the Americas Report Archives.